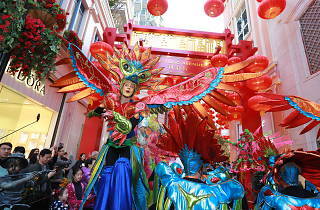 Ring in the year of the rooster at Lee Tung Avenue as they celebrate the second Hong Kong Island Chinese New Year Parade in proper style. 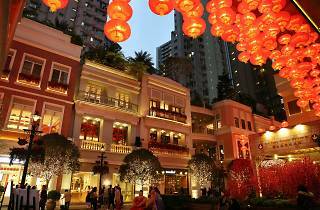 Take a walk under the stunning 1,000 large red lanterns lining the Lee Tung Avenue walkway and welcome the arrival of spring with peach blossoms and festive surprises in store. 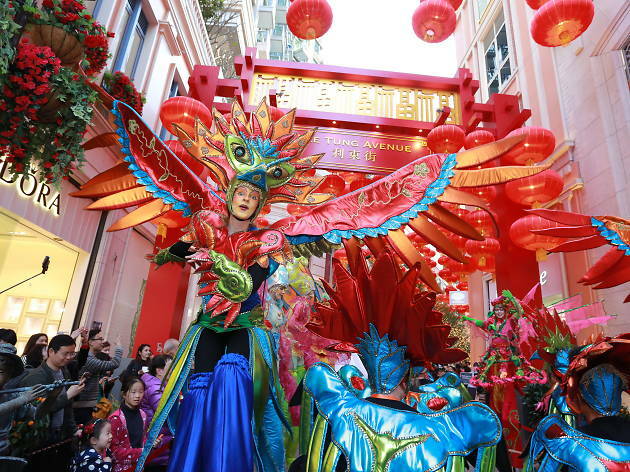 The second Hong Kong Island Chinese New Year Parade is set to take place on January 29 (the second day of Chinese New Year), with a glamourous Spanish dance troupe, the Russian Cotton Candy King, and a group of stilt walkers from German Stelzen-Art & Confusao. Don’t miss this festive performance of international performers for a brilliant start to the New Year. The CNY traditional market opening ceremony will also take place on February 8 where guests can enjoy a vibrant lion dance performance complete with LED Lions on February 10 and 11 and receive gold coins from the God of Wealth. On the CNY market opening day, guests are also able to receive a cute chicken doll during the festivities. Don’t forget to grab a set of specially designed red packets by renowned product designer Ken Lo for those who send a total of $1,600 or more from up to two different shops at Lee Tung Avenue. Enjoy your shopping experience with this exclusive offer you won’t be able to pass up (redemption available until January 27)! 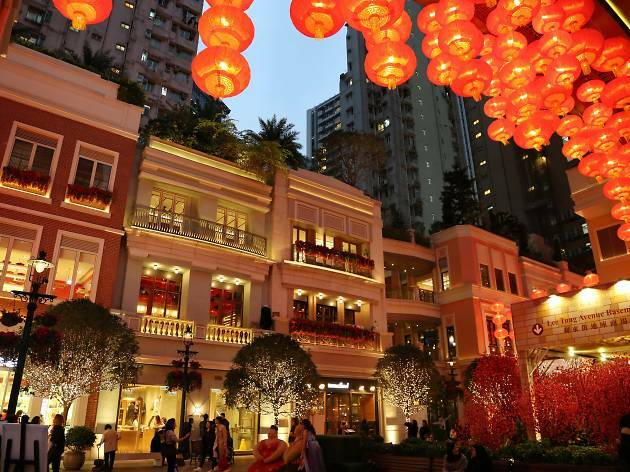 Along with the Chinese New Year events, you can also enjoy the Lantern Festival Wedding Bazaar taking place at Lee Tung Avenue from February 11 to 12. Offering one-stop wedding planning services to exhibitions and an array of wedding organisations, expect the very best romantic vibes from soon-to-be-married couples plus a showcase of fabulous items up for offer. General public may take a ride on the traditional Chinese bridal sedan chair or dress in the traditional gown for photo taking opportunities as well. Bring your loved one along at take a seat on the Valentine’s couple bench named “Knot”, where couples can inscribe their names on locks and hook it onto the bench. Give yourselves the best of luck and throw away the key as a symbol of commitment and long-lasting love for years to come.